According to current statistics, approximately 40 percent of school-age children in the U.S. are overweight or obese. This statistic is reflected in rising rates of diabetes, pre-diabetes, and heart disease risk factors. Nearly one-quarter of all children are pre-diabetic or diabetic at the time when they leave high school, a figure that has increased dramatically in the last decade. Dental problems, the other very common health problem of youth, carry the potential for current and future pain, infection, and tooth loss. Although low-income children and children of color are at particular risk for both conditions, risk is unacceptably high for all children. It is important to note that these all-too-common conditions share the same critical risk factor: consumption of sugary foods and beverages. Unknown to many, over half of the added sugar consumed by children is ingested in liquid form—soda, fruit drinks, sports drinks, energy drinks, and other pre-sweetened beverages including iced teas and others. For teenagers sugar-sweetened beverages are the single largest source of calories in their daily diet. Further, research has demonstrated that liquid sugar is more highly related to obesity than added sugar coming in solid form. To improve the medical and dental health of our children we need to help children and families find ways to reduce their consumption of sugar-sweetened beverages. 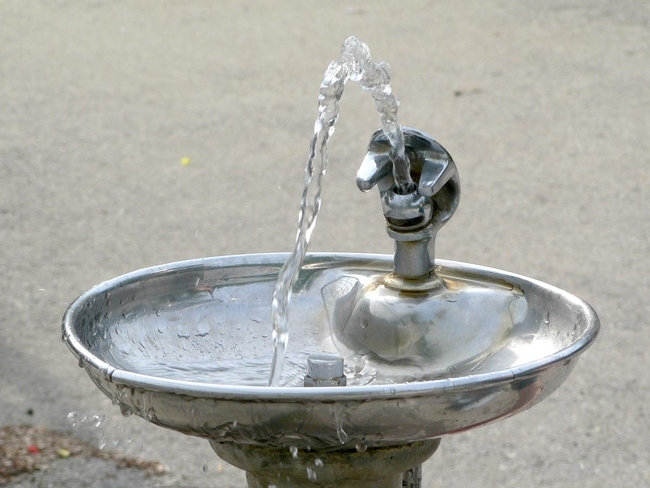 Offering children easy access to water stations and other free tap water sources in childcare settings, schools and recreational facilities provides a healthful alternative to sugary beverages. Fortunately research is being conducted to find effective ways to reduce children's sweetened beverage consumption. Reduce provision of sweetened beverages in the school, after school and childcare settings. UC ANR's Nutrition Policy Institute (NPI) has documented dramatic reductions in sugary beverage consumption after the enactment of state restrictions on the sale of highly sugared beverages in California schools and childcare. While much has been accomplished, more can be done to see that these kinds of restrictions are fully maintained. Encourage strong nutrition education programs for children. UC Cooperative Extension's EFNEP and statewide SNAP-Ed programs have been leading efforts to educate children on the value of a healthy diet including the risk of consuming too many sugary beverages. Similarly, educating families on healthy eating and on the benefits of reducing sugar-sweetened beverage consumption can support and reinforce the messages to children in the school-based programs. A consistent message on sugary beverages delivered to families by dental and medical health practitioners, in tandem with other educational and community efforts, can substantially benefit children's health. As respected community members, dental and medical health practitioners are in a position to deliver consistent messages to families and also to work with community agencies and groups, including UC ANR and its affiliates, to initiate and support efforts to reduce children's and families' sugary beverage consumption. Our children deserve a healthy start. Dooley D, Moultrie N, Sites E, Crawford P. Primary care interventions to reduce childhood obesity and sugar-sweetened beverage consumption: Food for thought for oral health professionals. Journal of Public Health Dentistry, 16 June 2017. DOI:10.1111/jphd.12229.